Playing catch is an activity that most people have engaged in at some point in their lives. Throwing a ball back and forth in the backyard is not a difficult task for most. Why is that some of the most talented ball players, Major Leagues, have difficulty tossing a ball 60.5 feet from home plate back to the pitcher’s mound? 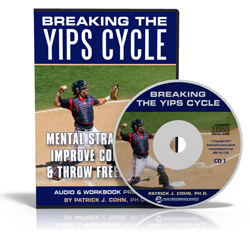 The Yips are the culprit… a mental hiccup that causes players to double clutch, tense up, and overthink basic throws. 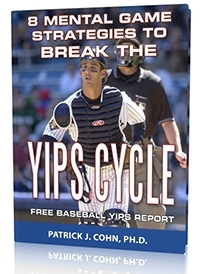 The hardest part of the yips is admitting the role the mind plays in the yips. But the mental aspects of the game are often viewed as weakness by many players. The reality is that the elite players in Major League Baseball are elite because they have a strong mental game. 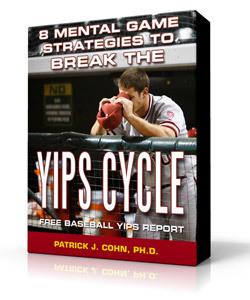 Top baseball players know a strong mental game can separate them from the “average” players. The most effective way to overcome the yips is to strengthen your mental game… That is how catcher Jarrod Saltalamacchia overcame his yip problem and improved his game. Saltalamacchia has enjoyed a nine-year Major League career despite the 5.6 years is the average career length of a MLB player. Saltalamacchia almost suffered an early exit to his career when he suffered a case of the yips. Saltalamacchia had difficulty with the simplest of tasks… throwing the ball back to the pitcher. Saltalamacchia’s yips problem started with a shoulder injury but he believes he has overcome his mental block. Saltalamacchia acknowledged that it was difficult asking for help but eventually elicited the help of a performance coach to strengthen his mental game. Overcoming the yips has allowed Saltalamacchia to free up his focus and pay attention to his job as a catcher. Don’t deny the problem, work through the problem. Seeking the help of a mental game coach is no different than working with a hitting coach to improve your swing, a nutritionist to help with your diet or a strength coach to increase flexibility or power. 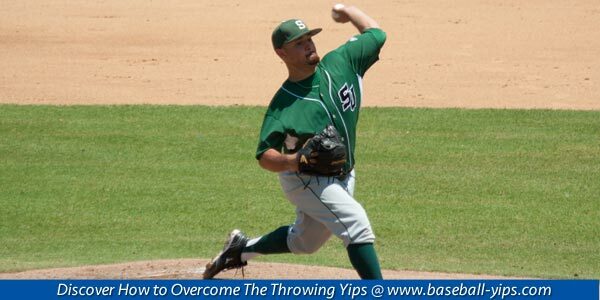 Your mental game makes a significant contribution to your throwing freedom and accuracy. The goal of mental coaching for the yips is to free up your throw to regain confidence and accuracy.